World Vegan Day is an annual event celebrated by vegans around the world on 1 November. It was established in 1994 by Louise Wallis, who was then Chair of The Vegan Society to commemorate its 50th anniversary and in 2014 the 70th anniversary of the terms 'vegan' and 'veganism' and the establishment of The Vegan Society. 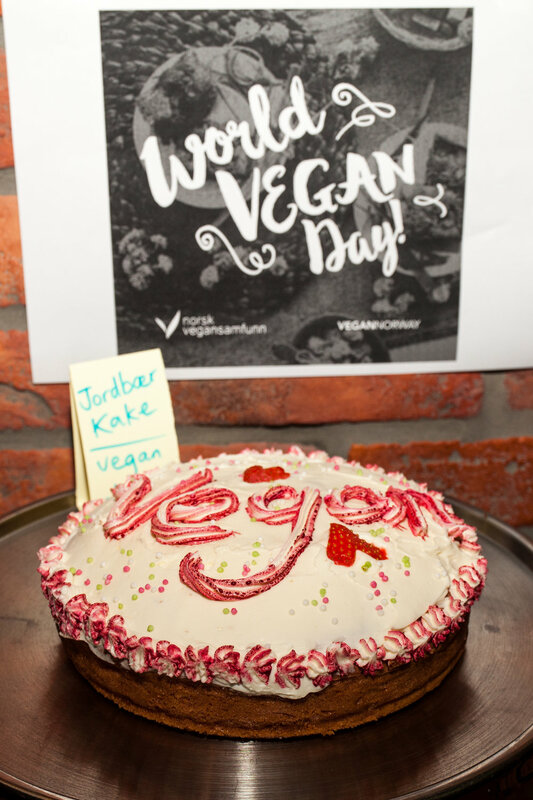 People celebrate WVD in many different ways: holding street stalls selling vegan food and raising awareness of veganism, inviting their friends over for dinner parties to try vegan food, and some vegan friendly businesses offer discounts on their products too. 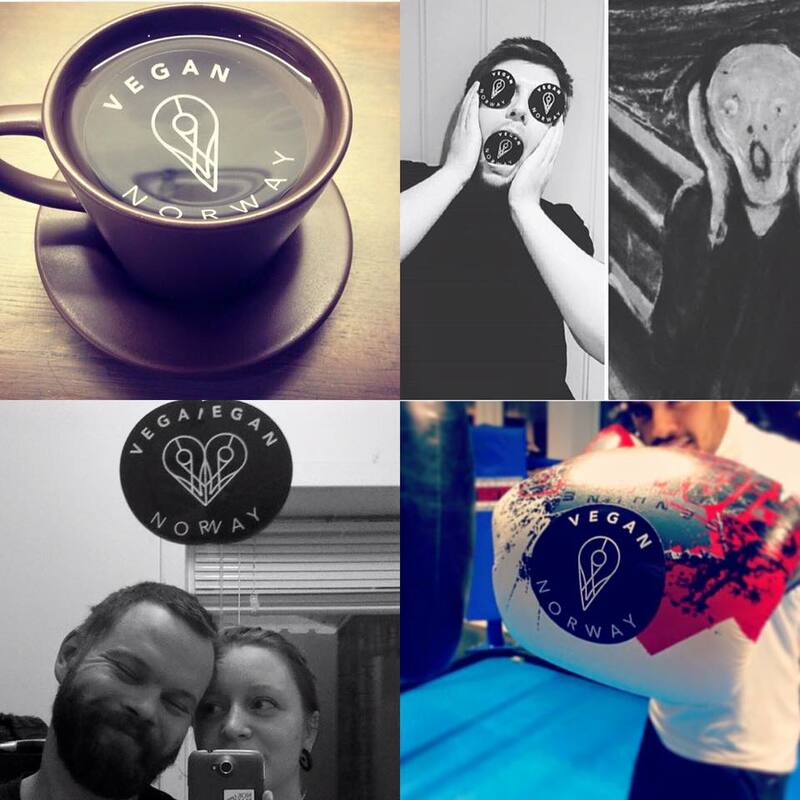 This WVD we have been reflecting upon how much the vegan movement has grown in the past year. As people have become increasingly concerned about cruelty to animals, climate change or their own health, Google searches for “vegan” reached an all-time high in January in the UK and US. Here’s what the exponential increase looked like in Norway over the past two years. In fact, veganism has become so popular in Norway in the past year that we can hardly keep up! 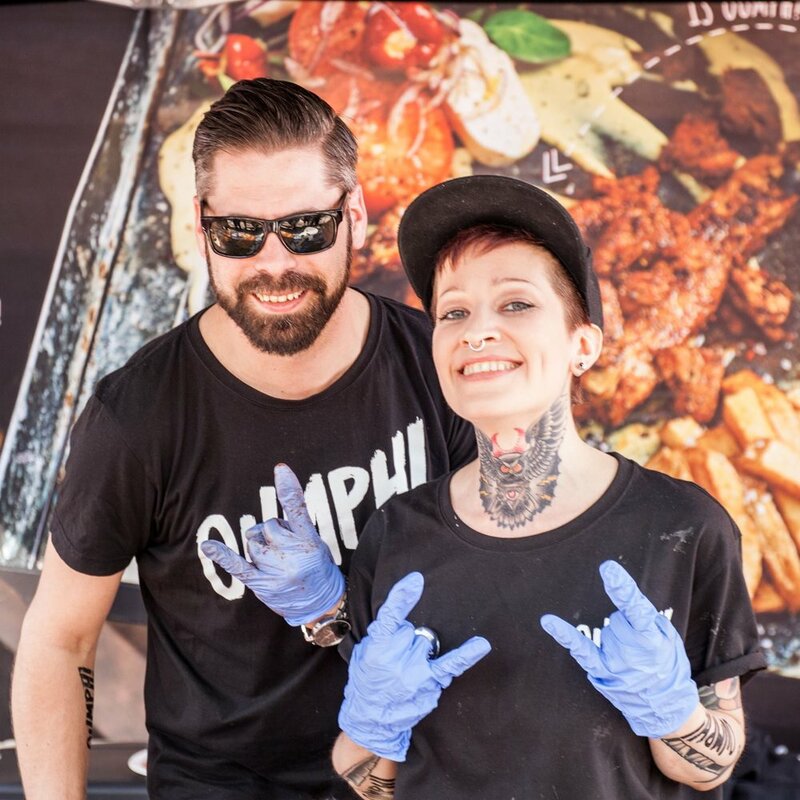 MAX Burger and O'Learys have enjoyed huge success with their vegan menu items, the large supermarket chains like Kiwi, Coop and Meny have put a huge focus on their veggie products, and in fact in the first week of its release the swedish meat replacement products Oumph! outsold Grandiosa pizzas (check this article about it in Dagbladet). Restaurants all over the country are realising that their customers want green options and so menus are getting populated with tofu pad thai, veggieburgers, vegan cheese on pizzas, avocado sushi and hummus! Cows milk is yesterdays news as consumers are discovering almond milk, soy milk, coconut milk and more. Brands like Oatly, Alpro, Go Green, Oumph, Anamma, and Halsans Kok are found in almost every supermarket now. Every year the demand for vegan product grows and this trend shows no signs of slowing down. On World Vegan Day 2015 we launched the new Vegan Norway app and our second city: Bergen. This was a huge deal for us, as previously the app had been called Vegan Oslo. It took a big technical overhaul to get the app ready to support more than one city and a lot of work went into finding vegan friendly places in Bergen. We had a little launch party at Pygmalion in Bergen in which we served up vegan cakes and celebrated the app launch with the Bergen vegan scene. At that point we had around 30 places in the app in Bergen, and even that was surprising to most people who lived there, Bergen isn't exactly known as the most vegan friendly city, but we managed to sniff out the vegan friendly cafes, shops and restaurants so we could make life easier for vegans and vegcurious people. Since then we have found almost 100 vegan friendly places in Bergen, launched the app in Trondheim (with around 80 places in the app there), kept updated with Oslo, and done lots of other cool stuff. We are proud of the work we have done in the past year and hope that we can continue to help make veganism accessible and achieve even more before WVD 2017! The third biggest city in Norway, Stavanger is known as the oil capital, and might not be somewhere you’d expect to find much vegan choice, but we’ve been doing our homework and finding those cool AF businesses working to provide vegans with they things they need and love. We have spent the past few weeks laying the ground work and adding a number of places to the app in Stavanger. Today we launch the app with almost 30 vegan friendly places in Stavanger for you to check out. We think this is a great start. Stay tuned as we add more and don't be afraid to get in touch with your own recommendations. Mari Hult of Vegetarbloggen is a Stavanger native and has really helped to put Stavanger on the vegan map, it's the place that she runs her blog from and where she wrote her amazing new book; Sykt Godt. The centre of Stavanger is home to a good number of vegan spots, and vegan-friendly businesses can be found all the way out to and including the neighbouring town of Sandnes. We are thrilled to be launching Vegan Norway in Stavanger so we can help bring attention to some of the great places the city has to offer, and make life a little easier for Stavanger’s vegans and its vegan visitors. Cathrine Ottensen of Veganeren is another Stavanger native and knows all the best spots to get yummy vegan food. On her blog you will find lots of amazing vegan recipes that you might not have thought possible! We totally agree with her recommendation of Original Thai Food, it is a great place right in the center of Stavanger. We got to visit 'Thaien' last time we were in town and had their tofu in red curry sauce. It was delicious. We first heard about the Bonderup family when their recipe for Vegan Liver Pate went viral last year. Since then the vegan family have been written about in the news and a few months ago organised the wonderful Vegan Weekend Sandnes. We attended this year and had a wonderful time. It's no surprise that Adria is a favourite place to go, this is the perfect restaurant to take the whole family to! Vegan Norway is a free app available for iOS and Android phones. In our app you will find in depth and well researched information about hundreds of vegan friendly places in Oslo, Bergen, Trondheim and Stavanger. Download for iOS and Android. 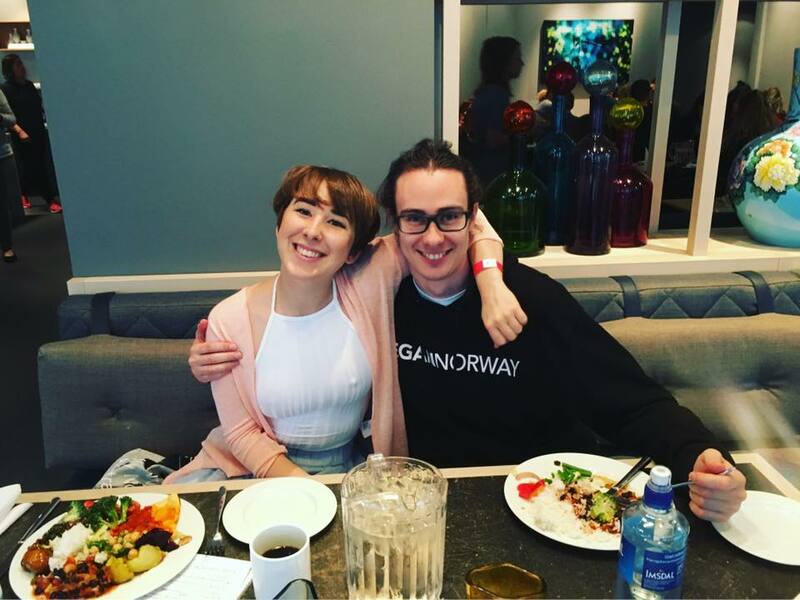 Do you want to join Carsten, Mari, and many other cool vegans helping to grow the vegan scene in Stavanger, Oslo, Bergen and Trondheim? Our volunteer team; 'The Hive' gets stronger with each new member. Get in touch with us and become a Vegan Norway bee!